What. A. Great. Trip. 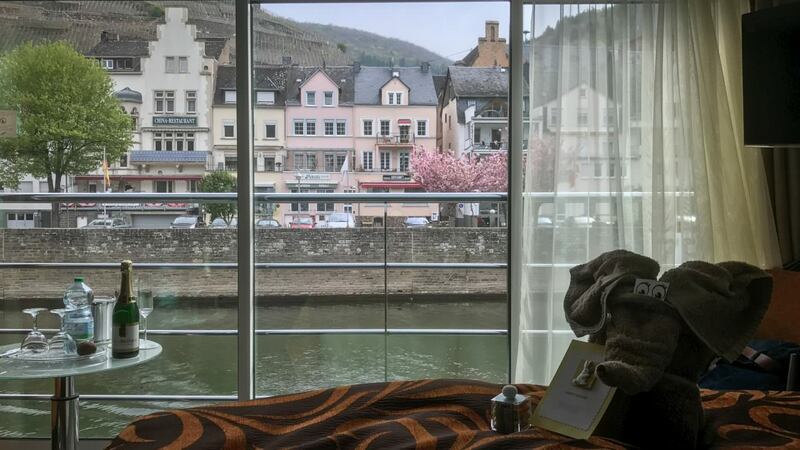 In early April, I cruised with Avalon Waterways on the Rhine and Moselle rivers. The itinerary, bookended by Amsterdam and Paris, served up some of the same stunning scenery that inspired Dutch landscape painters such as Jacob Isaackszoon van Ruisdael. Just look at the photo below, for example, unfiltered and untouched, snapped with my iPhone from the Club Lounge, aft on Avalon Visionary, one morning on the Moselle. The top two interior decks on Avalon’s Suite Ships feature 200-square-foot and 300-square-foot suites with beds facing banks of sliding glass wall-to-wall and floor-to-ceiling windows. 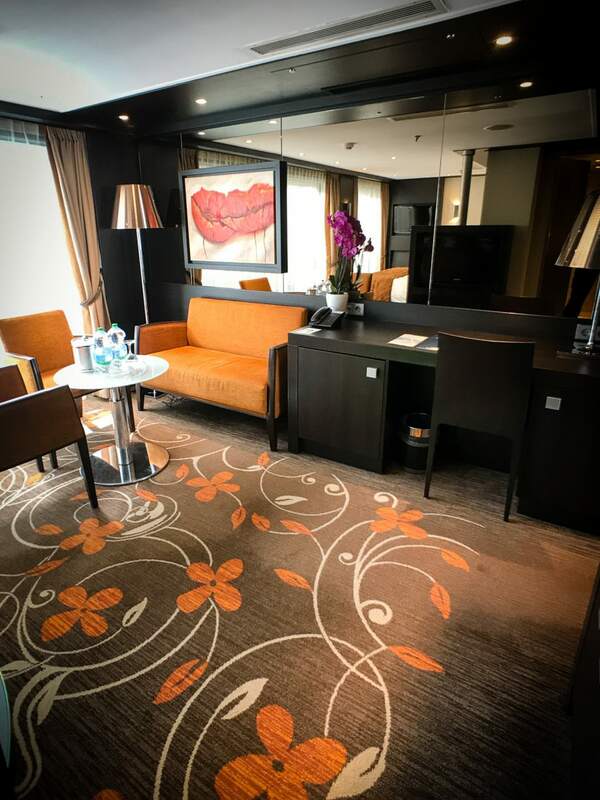 Moreover, Avalon Visionary’s staterooms are spacious by industry standards, a full 30 percent larger than the industry average, according to Burke. 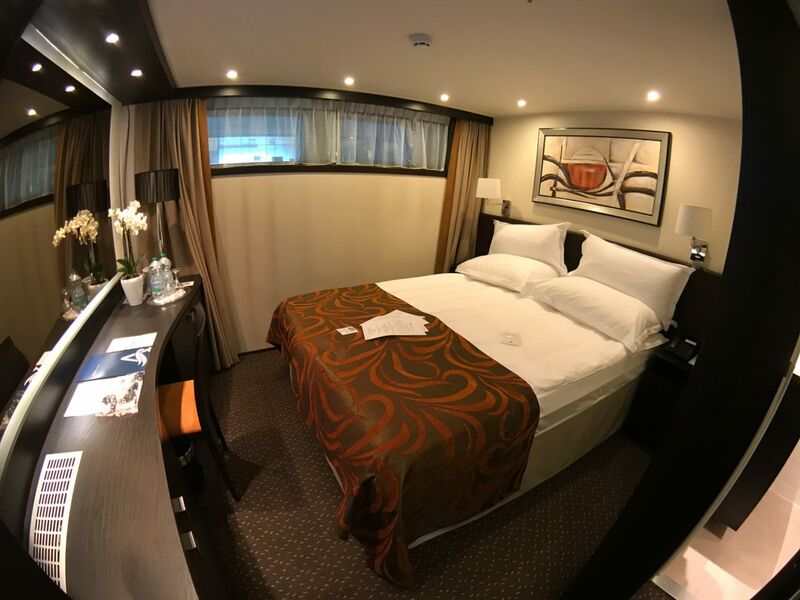 Though you’ll find attractive pricing for the lower deck categories, staterooms in those lower categories are 172 square feet with windows that don’t open and smaller bathrooms than in staterooms a deck above. 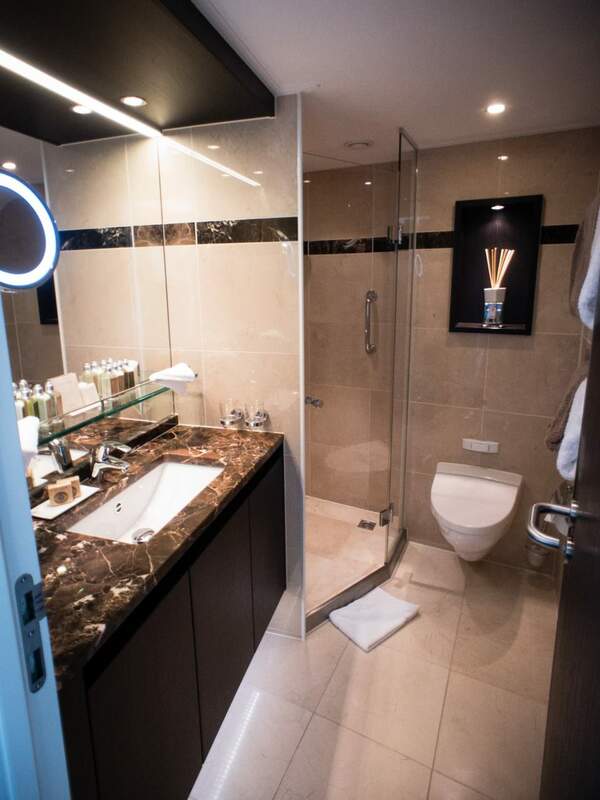 Plus, bathrooms in the staterooms on the upper decks are slightly angled to provide additional room. I appreciated the innovative configuration on my cruise. I was in a Panorama Suite, number 318, Category P, on the Royal Deck. My room featured those floor-to-ceiling, wall-to-wall windows that spanned 11 feet, with a seven-foot opening. 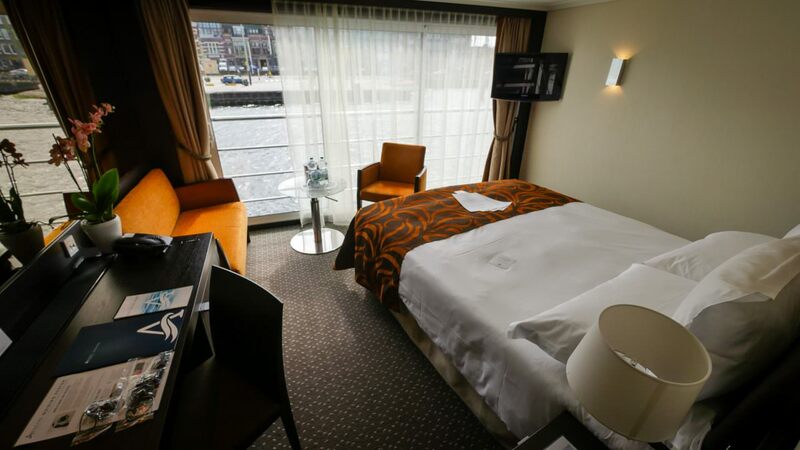 I found myself staying in my room more than I have done on other river cruises. Villages along the Moselle, in particular, were so perfectly framed that I often grabbed my iPhone to photograph or film in HD format. My queen-size bed faced the views. Sitting in bed with the curtains open and watching Europe pass in real-life HD was a wonderful experience. 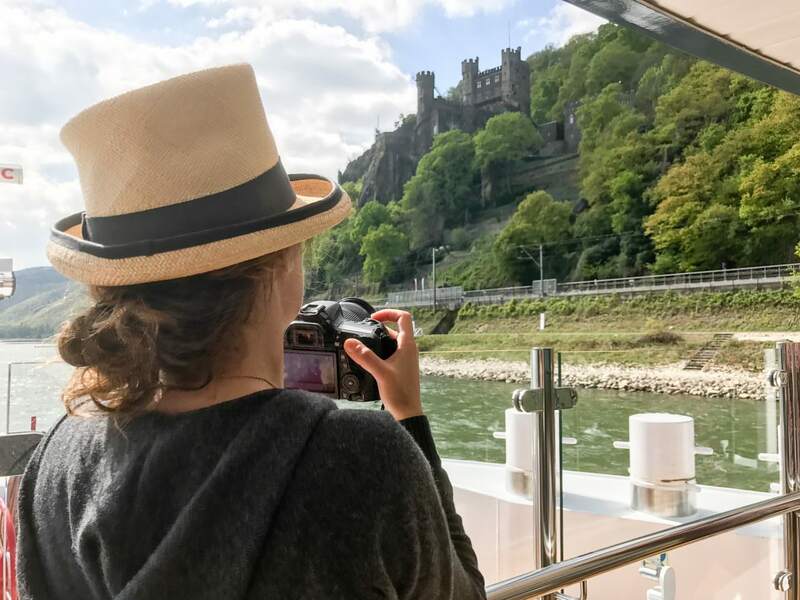 Along the Rhine, manmade highlights such as the Cologne Cathedral and the storied castles along the river complemented the natural wonder that was the Rhine Gorge. 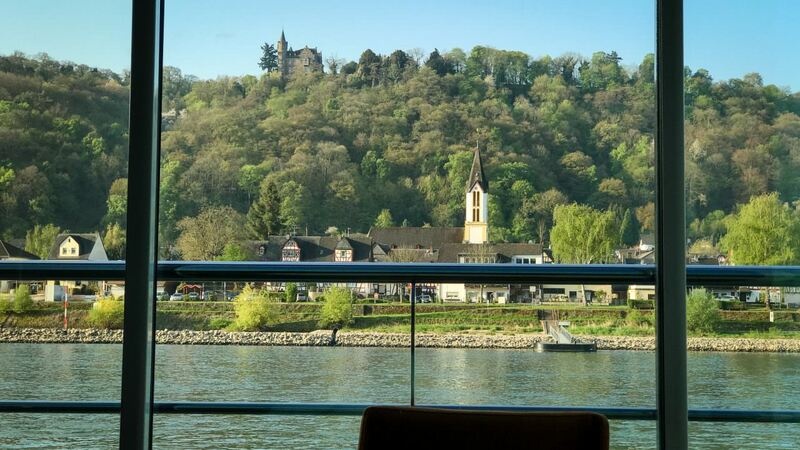 I spent an entire morning marveling at castles perched on rocky outcrops before Avalon Visionary reached Rudesheim. The tiny town never fails to charm, luring like the Lorelei travelers into its many wine gardens along the Drosselgasse. I skipped the busy street, however, and went for a long hike in the vineyards. The weather was divine, and I enjoyed the vineyards and the views. In doing so, I was staying true to Burke’s proclamation about the experience boiling down to the view. The views before me in Rudesheim were simply breath-taking. A turn at Koblenz, the Deutsches Eck (German Corner) began the journey along the pretty Moselle, where vertical vineyards plunged into the river. 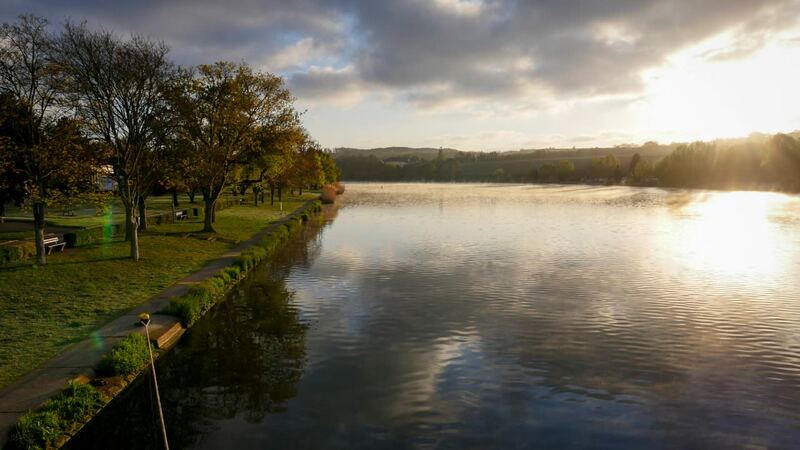 Along with the Douro, the Moselle competes as the prettiest river in Europe. Both are equally as plentiful in vineyards threading their way up steep verdant hills. After Koblenz came Cochem and Bernkastel, with their half-timbered houses and hilltop castles. I could have spent time wine-tasting in both towns, but I was all about the view, so at each stop, I hiked up the hills, alone and with my colleagues, for views of the valley below. Who needed wine? There was plenty of good regional wine back on Avalon Visionary. The beauty of the Moselle was astounding. So was its history. The Roman city of Trier (Germany) made it seem as though ancient Rome has been transported to the river and plopped down alongside the river’s banks, and indeed the Roman Empire had reached this far, with the Romans leaving their legacy in ruins that still stand in what is thought to be the oldest city in all of Germany. 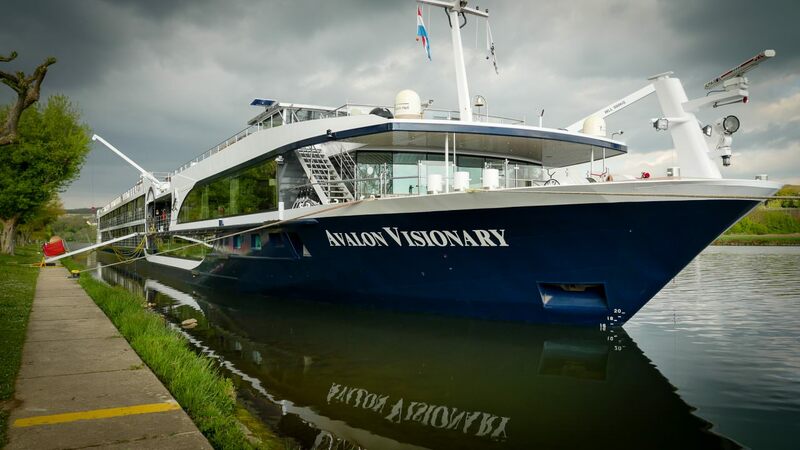 Luxembourg awaited us when Avalon Visionary docked in Remich. There, several complimentary excursions were offered, the highlight being the capital city of Luxembourg and, along the way, a stop at the American cemetery where General George S. Patton is buried. Complementing the destinations were some wonderful excursions as well as a new breed of excursion, at least for Avalon. 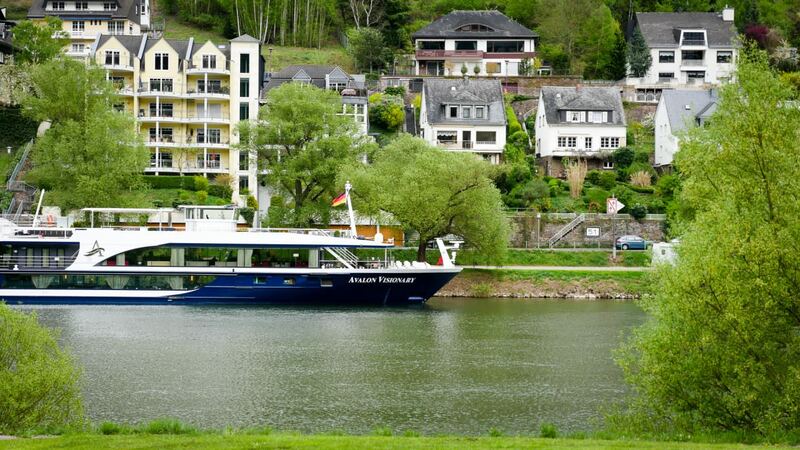 Avalon’s new Active Discovery program serves up a new style of river cruising, targeted at boomers, like me, and younger cruisers. 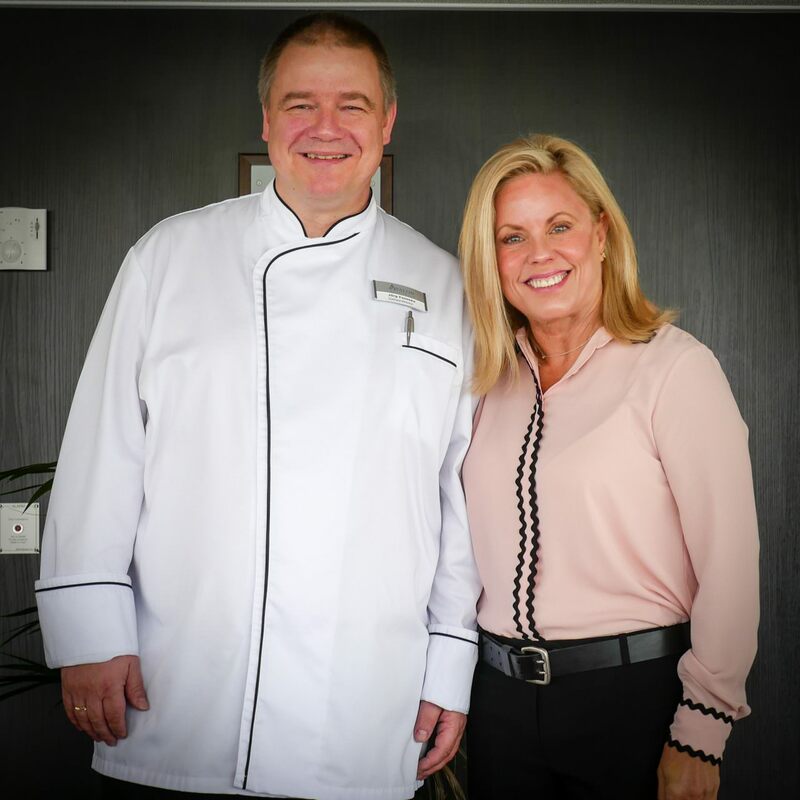 The excursions are designed to provide in-depth experiences and activity and will be included free of charge on Avalon’s Active Discovery Cruises, a handful of which will be offered on the Rhine and Danube rivers in 2017 and beyond. 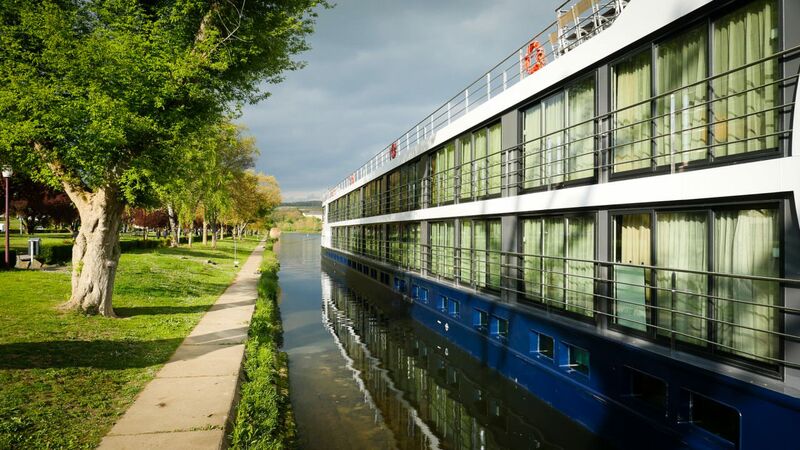 Active Discovery cruises kick off this July with itineraries on the Danube between Budapest and Linz on Avalon Luminary. 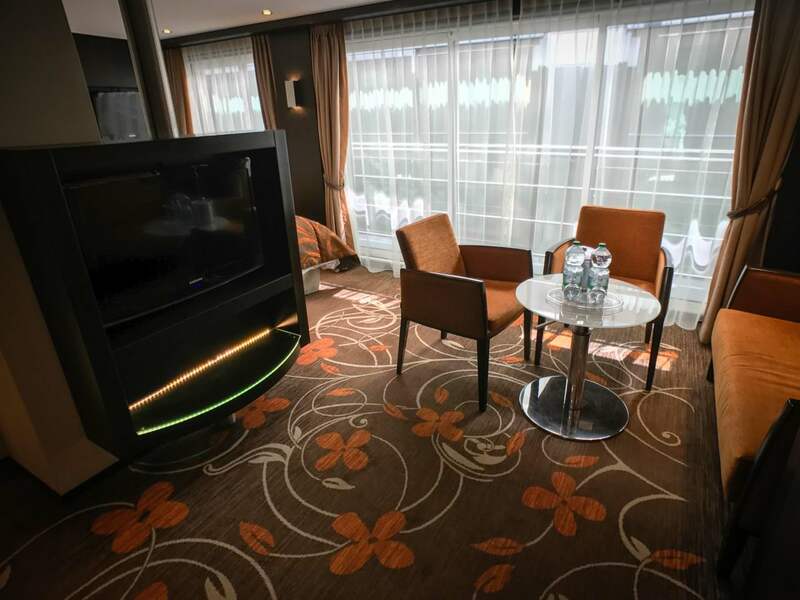 Next year, Avalon Felicity will offer Active Discovery cruises between Amsterdam and Frankfurt, with ten ports that differ from Avalon’s most popular itinerary, the Romantic Rhine (which operates between Amsterdam and Zurich). In Xanten, a new port for Avalon, an Active Discovery excursion will be offered as a nightman’s watch tour, straight from the Middle Ages. At least three complimentary Active Discovery excursions will be offered in each port. On an Active Discovery excursion in Cologne, I pedaled a bicycle with a group for a couple of hours. In Amsterdam, I participated in a local workshop where I learned to paint still-life. See On Avalon Waterways In Amsterdam: Channeling Our Inner Van Gogh. Both were good diversions from often ho-hum “let’s visit another museum or church” tours. Avalon has lots of other touches that I found refreshing, such as Avalon Choice, which allows guests to personalize their vacations online before leaving home. And while Avalon is not all-inclusive, the line does include much of what its competitors do, with a few inclusives that are new to Avalon this year, such as regional wine and beer served free of charge at lunch and dinner, and bicycles on board for complimentary use. Another aspect of the on-board experience that I appreciated was Avalon Fresh, a healthy dining option. 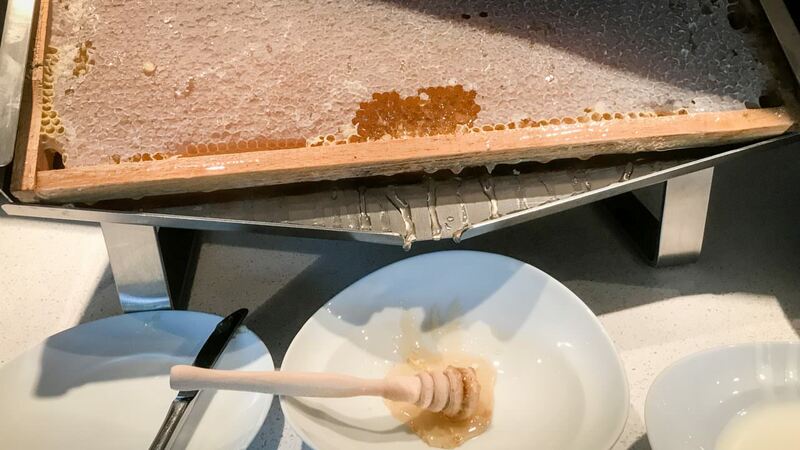 Vegetarian and vegan dishes were inventive and tasty thanks to a partnership with the Wrenkh Brothers, two rising culinary stars from Austria. 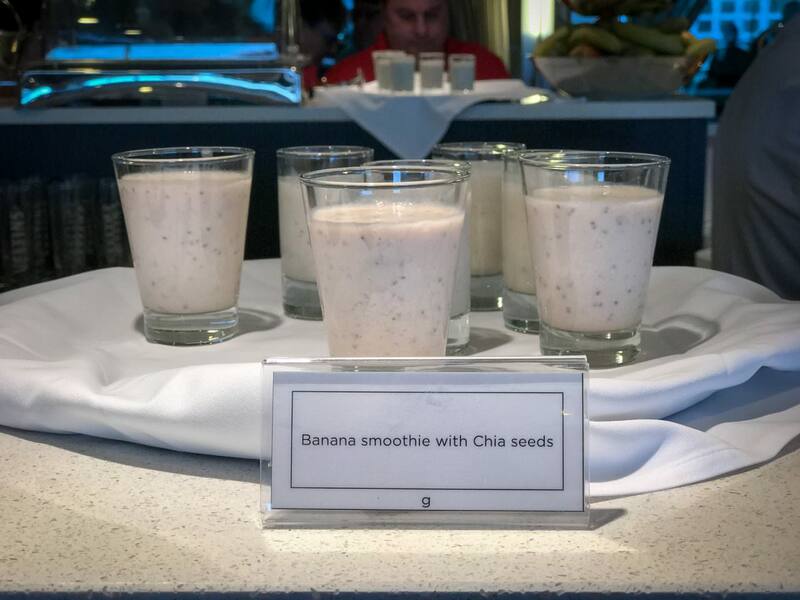 The brothers are known for creating great tasting, innovative, vegetarian cuisine, and I ordered Avalon Fresh menu items each of the seven nights of our cruise. I was pleased to learn that the Wrenkh Brothers source their ingredients from small farms and local producers. 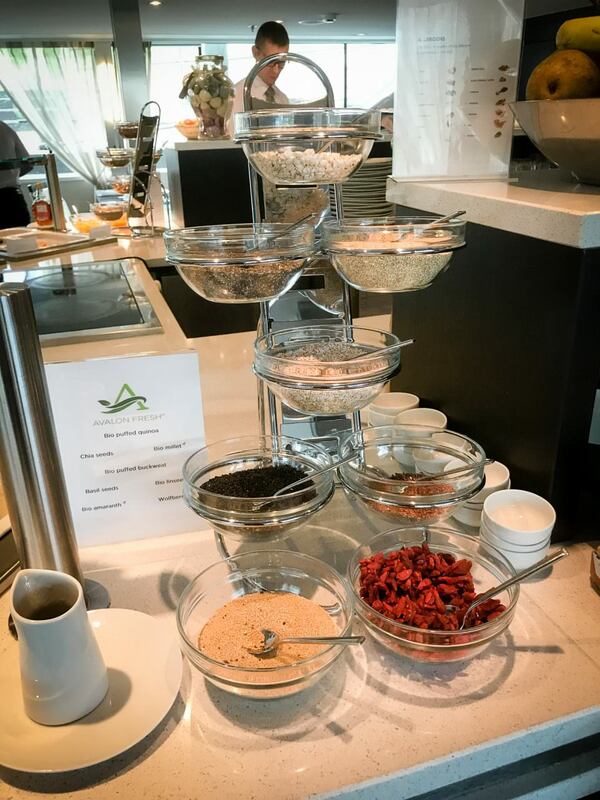 I also was impressed with the number of healthy dining options on Avalon Visionary. 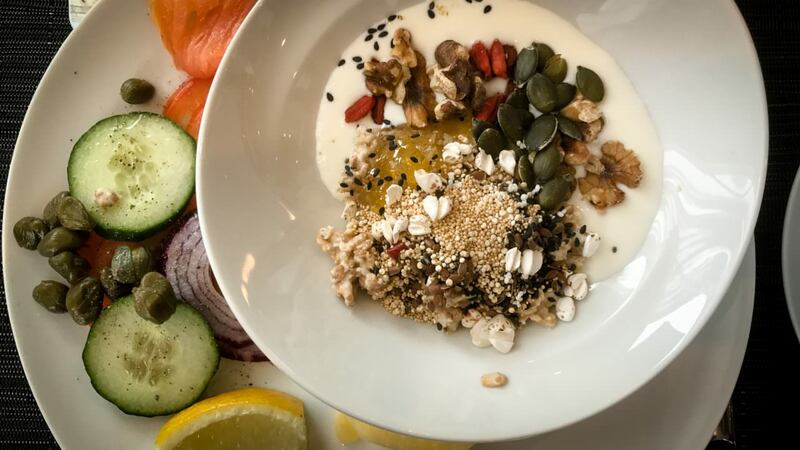 The breakfast buffet, for example, featured items such as chia seeds, goji berries, pumpkin seeds, puffed wheat, and lots of other healthy items to complement the yogurts and muesli. Of course, going “off course” was easy for those who wanted to do so. 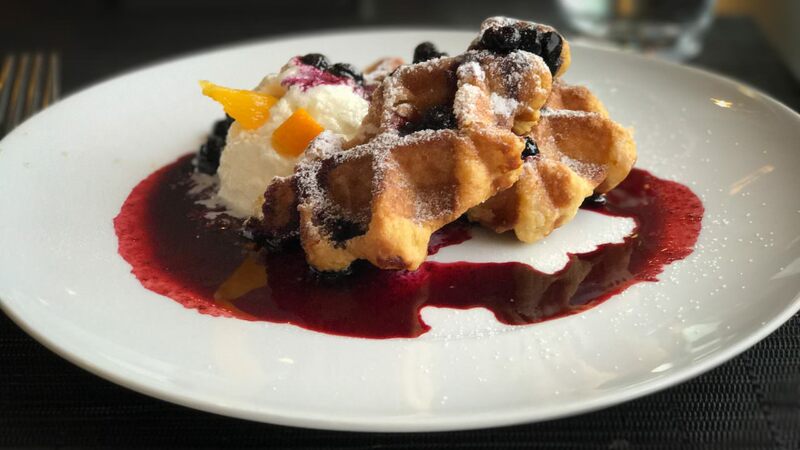 The Belgian Waffles may have been the best I have ever had, land, sea or river. 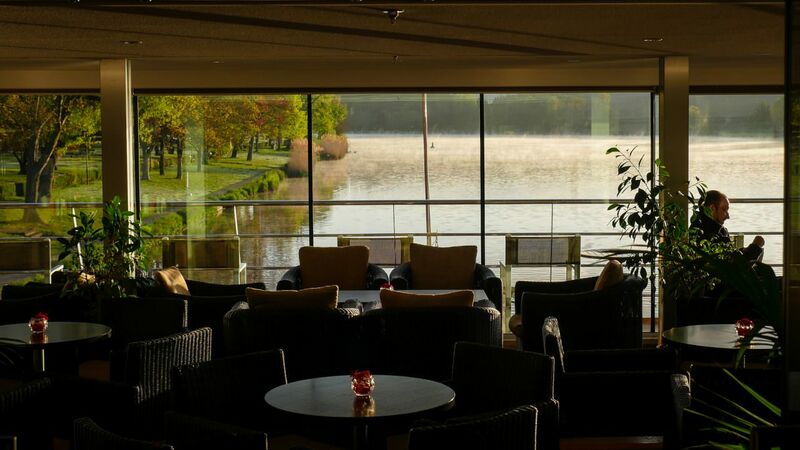 There’s also an alternative dining venue called the Panorama Bistro at the front of the lounge for intimate dinners. The venue, where light lunches are also served, seats 20 on Avalon’s 110-meters ships, including Avalon Visionary. The dining area’s setting is gorgeous, particularly during evening transits along the river. 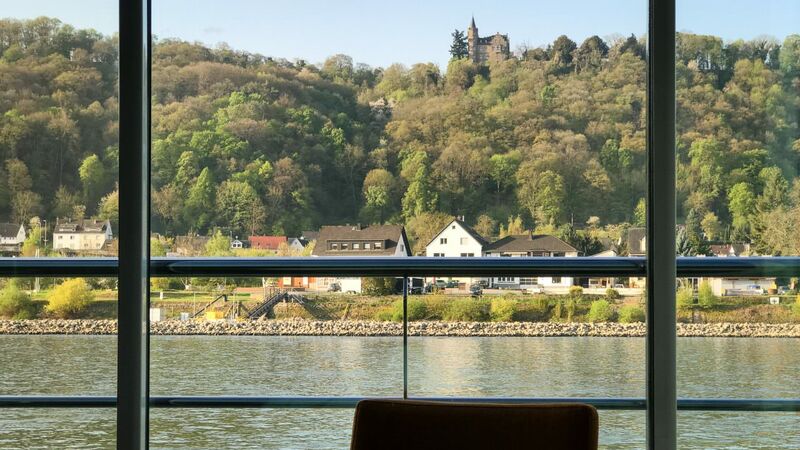 Avalon Visionary took us from Amsterdam to Cologne, Rudesheim, Cochem, Zell, Bernkastel, Grevenmacher and Remich, with excursions offered in each port of call as well as excursions to Trier and Luxembourg. Our overnight in Remich was not the end of the trip, however. 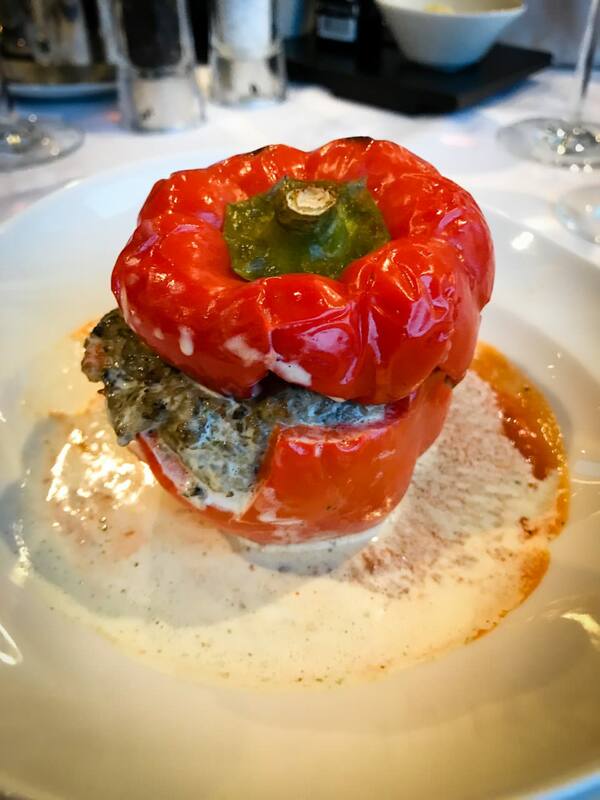 Two nights in Paris, which we reached via highspeed train, punctuated the perfect ending to one of the most intriguing itineraries on the rivers of Europe. 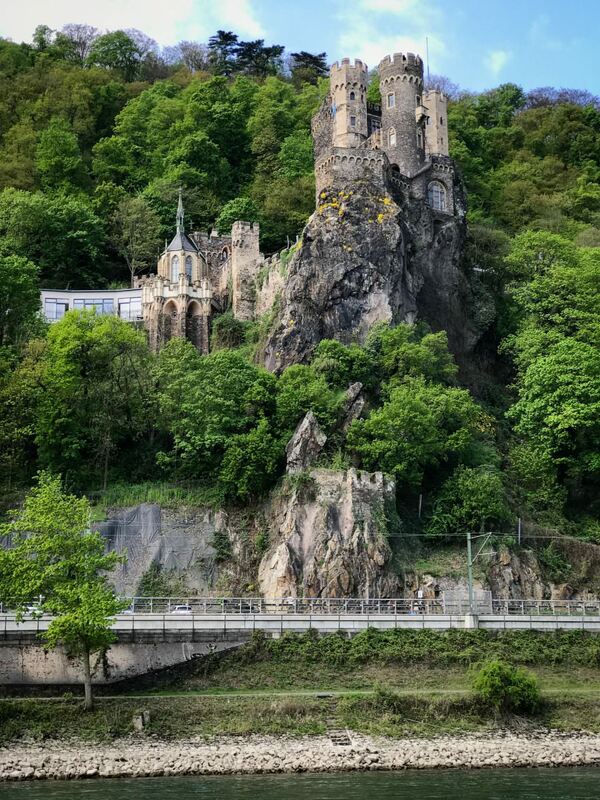 On our 10-day trip through Holland, Germany, Luxembourg and France, the diminutive Moselle, in particular, quickly rose to the ranks of favorites for many of us on board, thanks to the river’s meandering through vertical landscapes, stitched with vineyards, and villages with castles perched high atop hills. The five-year-old Avalon’s Visionary appears to have been made for the Moselle. The 128-guest ship’s size matches the river perfectly. 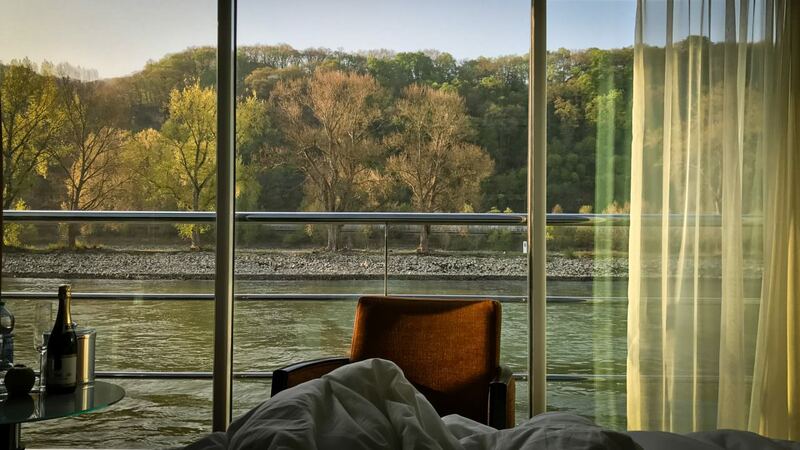 Avalon Visionary’s innovative room configurations highlight the views, of which there are plenty, along the rivers. 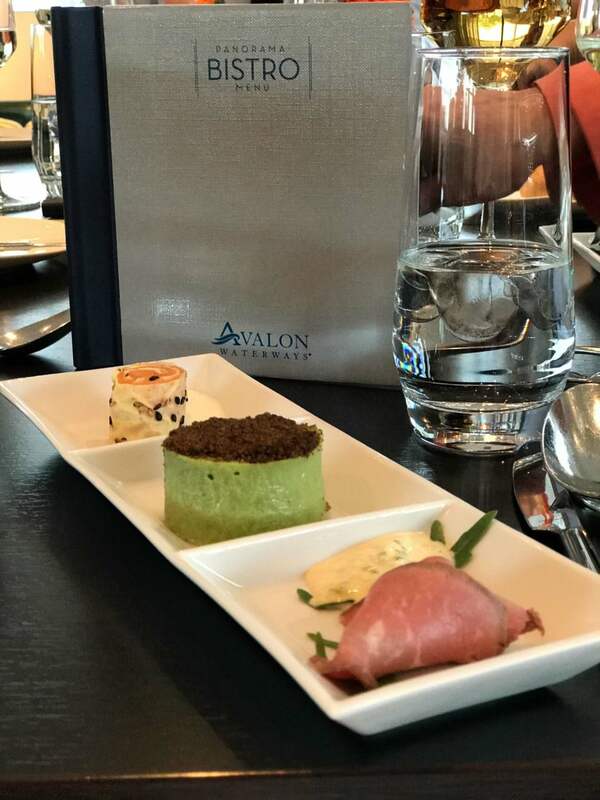 Add to that Avalon’s new Active Discovery and Avalon Fresh, and many will find Avalon to be their perfect choice for a river cruise in Europe. Whether Avalon gets that formula right or not remains to be seen, but from my point of view (which was Europe in HD), Burke and her team are off to a great start. 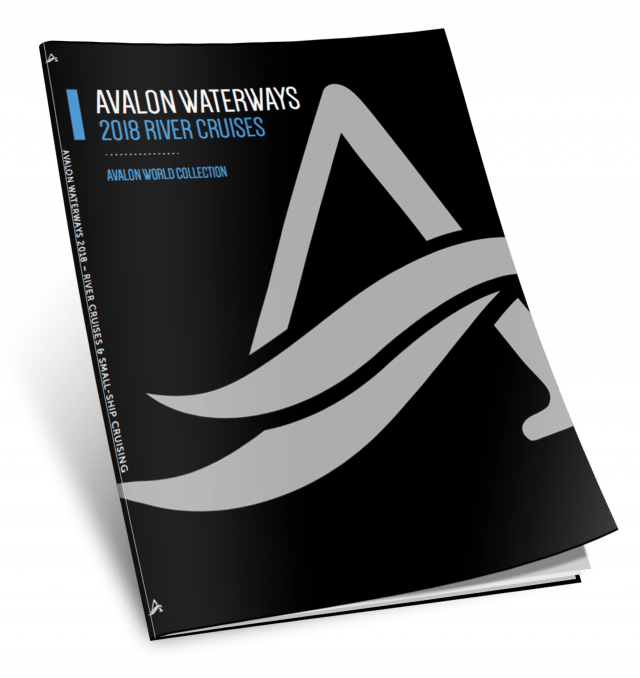 Click to download Avalon’s Waterways 2018 Brochure (62mb PDF). See our Avalon Visionary ship review. Was there a particular side of the boat that is preferred? Not at all. Both sides are beautiful. You can always go up on the sun deck and see both sides. Some ships have seating in the stern, where you can do the same. My husband was born in Trier, so I am really interested in stopping in Trier. How long was the stop and what were the options. It was a half-day excursion. so you’d have some time there. You could always do it as a pre/post trip before or after your cruise to have more time.